Leaving aside drunk and drugged driving, the five things most likely to draw the attention of a local traffic cop or a Highway Patrol officer are speeding, following too closely, making improper lane changes, operating with faulty equipment, and running red lights. We’ll take brief looks at what getting ticketed for any of these can mean for an Ohio driver below. First, we want to note that any of the listed traffic violations can also be cited as reckless operation. Because of the way the Ohio state statute related to reckless driving is written, any action that a law enforcement official considers an instance of “willful or wanton disregard of the safety of persons or property” can bring a more serious traffic charge. Contacting a Columbus traffic attorney if this happens is strongly recommended. A person accused of reckless operation must appear in court, and a conviction creates a permanent record and carries a four-point license penalty. To speak with a traffic violation attorney in Columbus, call The Maher Law Firm at 614-205-2208 or reach out to us online. Under Ohio state law, going 5-30 mph over the speed limit can bring a fine up to $150 and a 2-point license penalty. Court costs and administrative fees will also be assessed. A conviction for speeding at more than 30 mph over the speed limit draws a 4-point license penalty. Tailgating is a judgment call for a police officer. The relevant state statute requires drivers to leave enough space between themselves and the vehicle in front of them to come to a controlled stop without causing an accident. The most-common scenarios that result in a ticket for following too closely are being so close as to appear reckless and a rear-end collision. It is a two-point penalty. Drivers cannot cross double yellow lines to pass, cut off other drivers, weave in and out of traffic, or change lanes without using a turn signal. This, like following too closely, can be a judgment call on the part of the officer who issues the ticket. Speaking with a traffic violation attorney in Columbus, Ohio, about possible defenses is wise idea for someone who wants to avoid the 2-point license penalty and negative report on their driving record. “Faulty equipment” is a true catch-all category. A broken taillight, malfunctioning windshield wiper, cracked windshield, missing bumper, or burned-out headlight can all earn a ticket. Drivers, especially people hauling trailers or operating commercial vehicles, must also make sure their loads are properly secured and covered. In addition to any fine assessed for operating with faulty equipment, the traffic stop prompted by, say, a problematic light gives a police officer an excuse to run a warrant check, perform a preliminary assessment for drug or alcohol use, and request a vehicle search. Many criminal arrests start as faulty equipment stops. The same 2-point license penalty and maximum fine of $150 applies to rolling through a stop sign or driving through a red light. 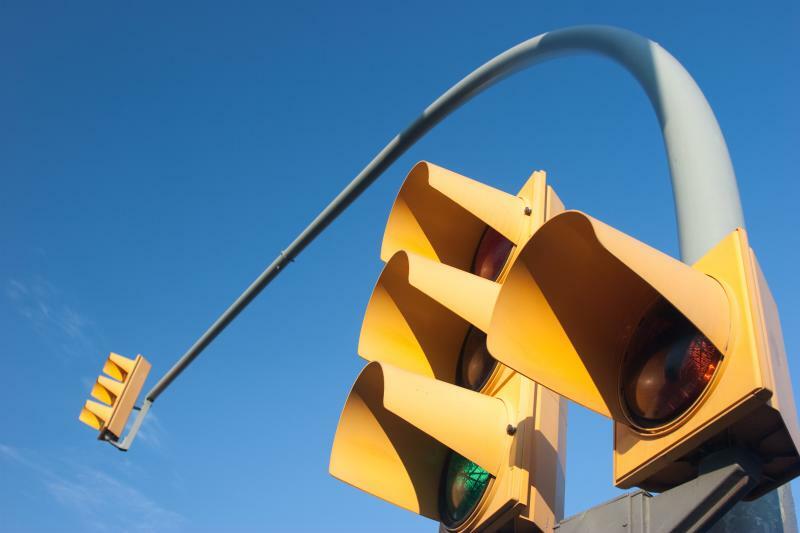 Failing to stop at a blinking red light or failing to yield when turning left at a green light is penalized the same way. Even minor violations can have drastic impacts on your insurance as well as your ability to keep your license. More violations mean more points. Twelve points results in a license suspension. Each violation on your record makes it more difficult to negotiate favorable outcomes. Before you have multiple convictions on your record, have a Columbus traffic lawyer with The Maher Law Firm analyze your case. Call us at 614-205-2208 or contact us online.